Speaker of the House Paul Ryan (R-Wis.) answers questions during a press conference at the U.S. Capitol in Washington, D.C., on Nov. 15, 2016. Republicans in the House of Representatives unanimously agreed Tuesday that Paul D. Ryan should remain speaker and serve as the chief legislative partner to President-elect Donald Trump. The next step is for Ryan to win the floor vote in January by all 435 House members. 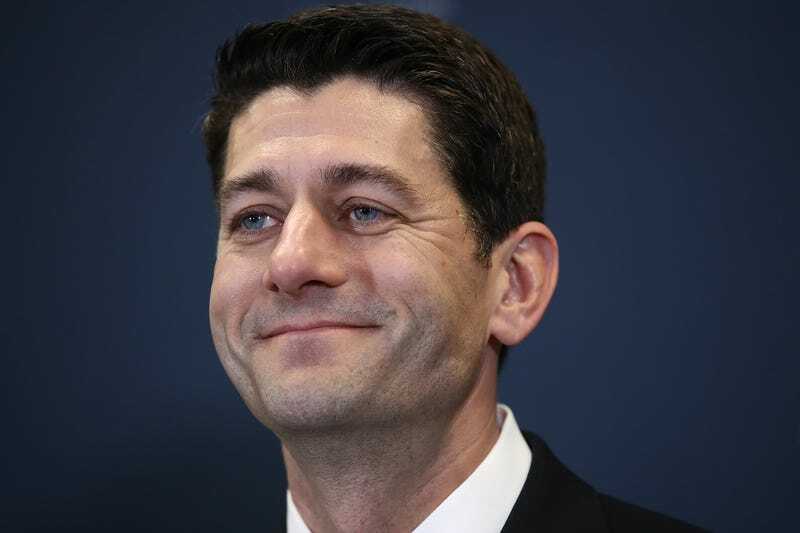 If two dozen Republicans were to withhold their support, Ryan’s election would be in question. According to the Post, several Republicans have indicated that although Trump’s election may have eased tensions that could threaten Ryan’s speakership, they have not eliminated them. Rep. Raúl R. Labrador (R-Idaho), co-founder of the House Freedom Caucus, told the Post that he hasn’t heard Ryan speak on anything that he would like to change, and that causes Labrador to wonder what will be different in these next two years compared with the last two. “So far, I’m not hearing anything about changing the way we do business here in Washington, so I’m not ready to support him yet,” Labrador said. The Post reports that Labrador is among a handful of House members who said Tuesday that they would still consider opposing Ryan as speaker. Although Ryan has broad support among the GOP rank and file, there is an ongoing discomfort over how his brand of Republican politics will meld with Trump’s. Ryan distanced himself from his party’s presidential nominee and instead chose to focus his own campaign on the “Better Way” policy agenda he developed. Since Trump’s election, congressional Republicans have attempted to show a united front. Trump and Ryan met last week on Capitol Hill, and the Post reports that in a closed-door meeting Tuesday, each GOP House member was given one of Trump’s signature red “Make America Great Again” hats.